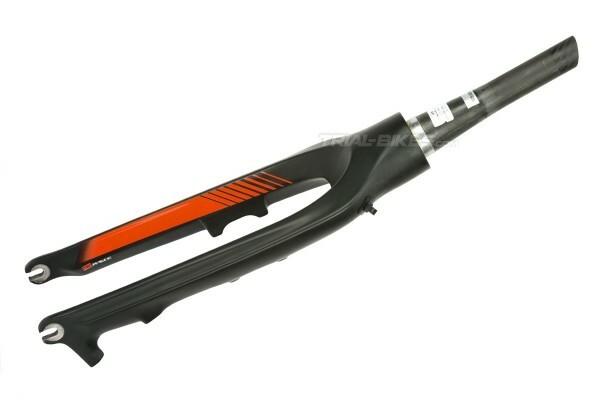 - New high quality Monty M5 Carbon 20” fork. - Developed and tested for months by Monty team riders Ion Areitio, Vasek Kolar and Lucien Leiser. 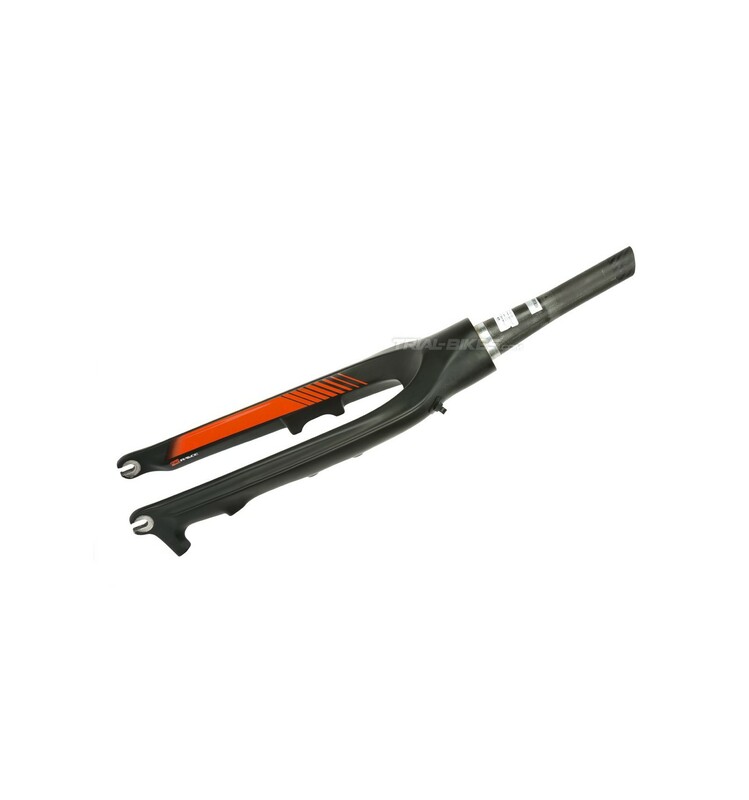 - This is the fork supplied with the Monty M5 OS 20” Carbon bike. - Manufactured from ultralight unidirectional (UD) carbon fibre, which allows for high strength and stiffness. 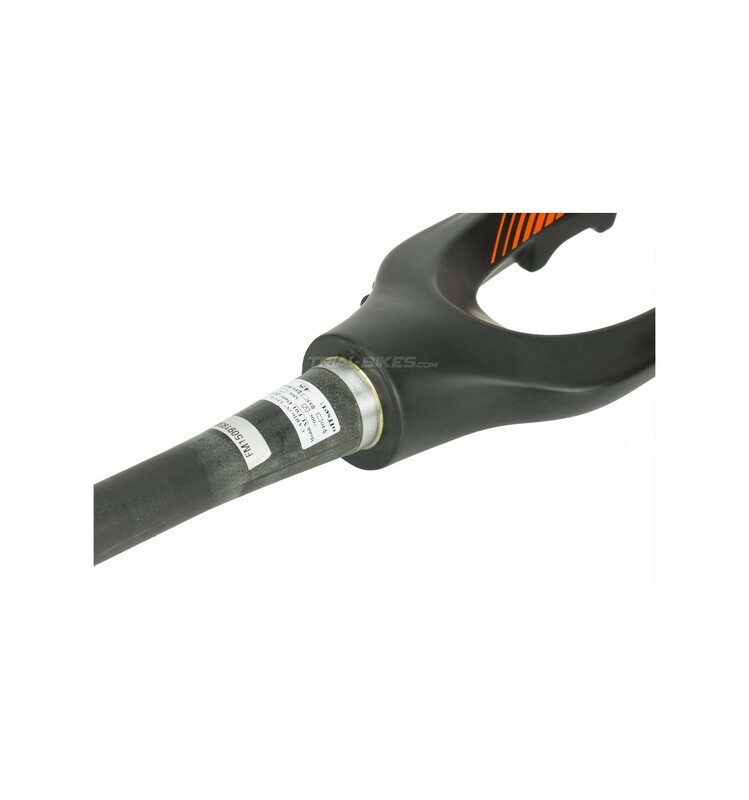 - Features a tapered steerer tube, with 1 1/8” diameter at the top and 1.5” diameter at the bottom, for use with tapered headsets of said diameters. - Features aluminium inserts on critical areas like the crown race area, brake mounts threads and at the dropouts. 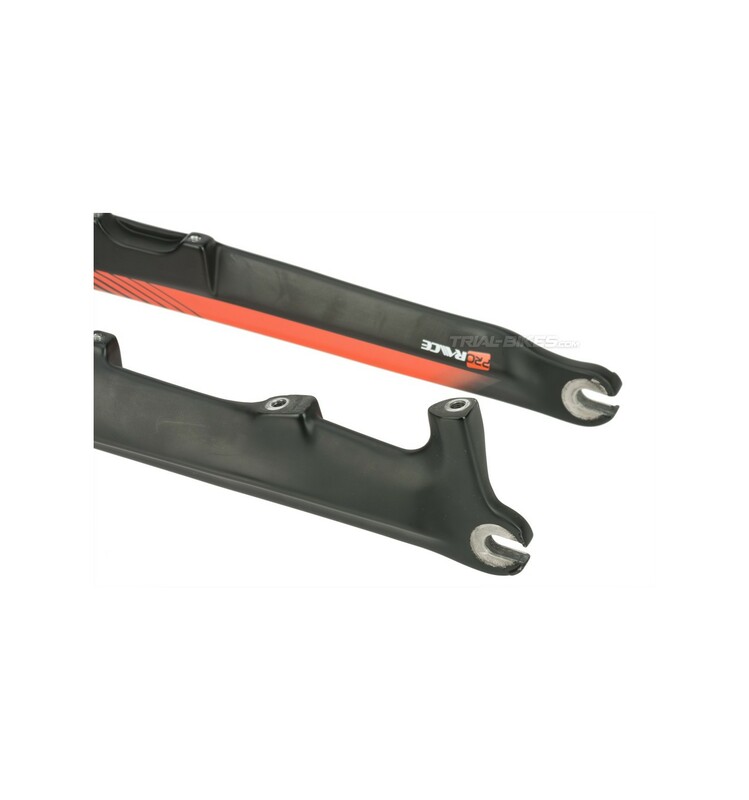 - The steerer tube is made in one piece, and has a threaded insert that acts as a star nut. - A crown race must be installed to ensure the headset stays tight. - Only available with 4-bolt and Post Mount brake mounts. - The 4-bolt rim brake mounts are integrated at the back of the legs, spaced at 87mm, and reinforced with aluminium thread inserts. - The Post Mount brake mounts are also reinforced with aluminium inserts for the threads, and they are designed to use a 160mm rotor. - Furthermore, it features a hose guide on the left leg. - Front hubs with 100mm spacing. - Not compatible with those frames that have a standard 1 1/8” steerer tube. 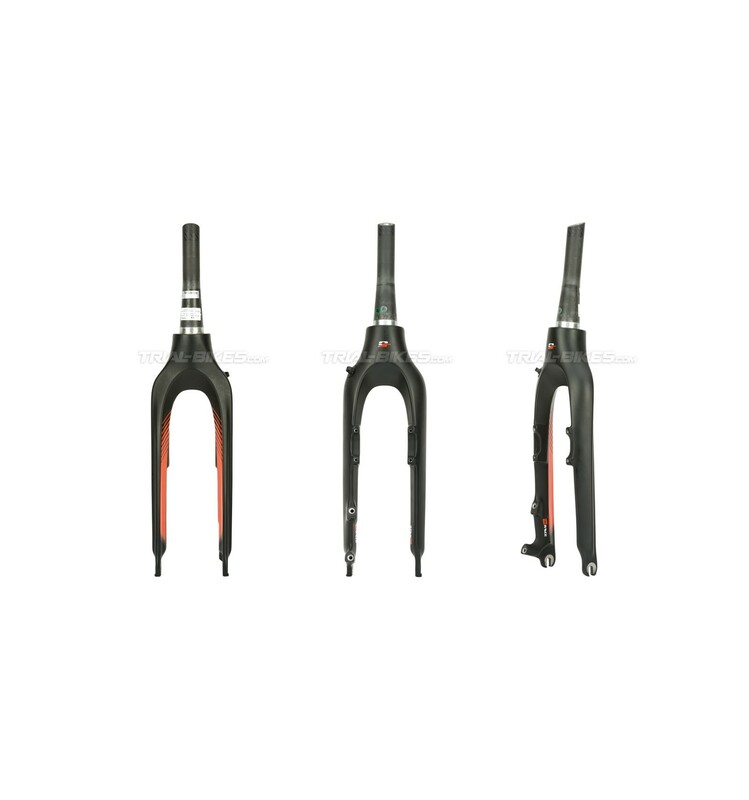 A tapered 1 1/8” – 1.5” headset or a headset adaptor must be used to install this fork. - Matt black, with classy Monty Pro Race OS orange graphics.